Christened in 2003, ms Oosterdam has since undergone a Holland America “Signature of Excellence” dry dock upgrade. 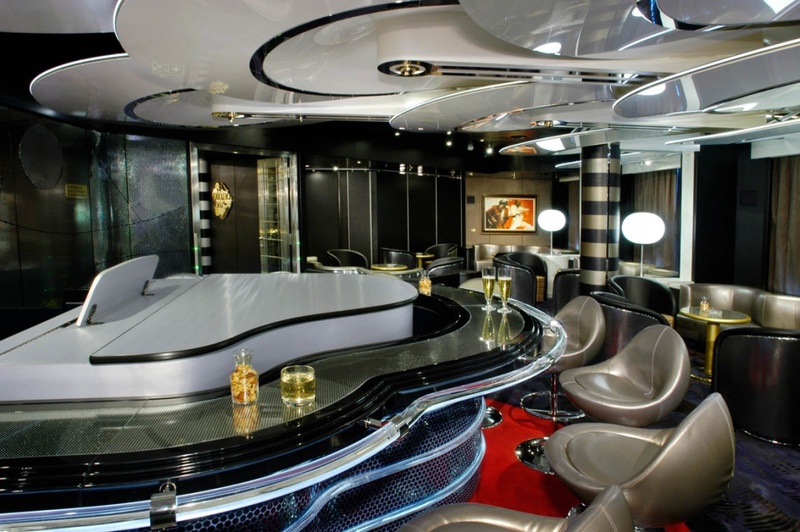 As with sister ships in the Vista class, Oosterdam embraces the latest in technology alongside the Holland America traditions of first-class luxury which include décor and fittings of opulent marble, crystal and brass. 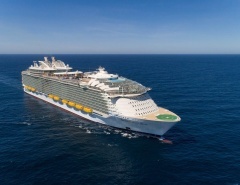 This medium size cruise ship has a passenger capacity of just under 2,000, but is designed to feel spacious, with enough room for a wraparound promenade deck. Ms Oosterdam utilises the best of environmental technology to maximise efficiency and manoeuvrability. Engineering features include the Azipod propulsion system and diesel-electric power that results in energy savings. 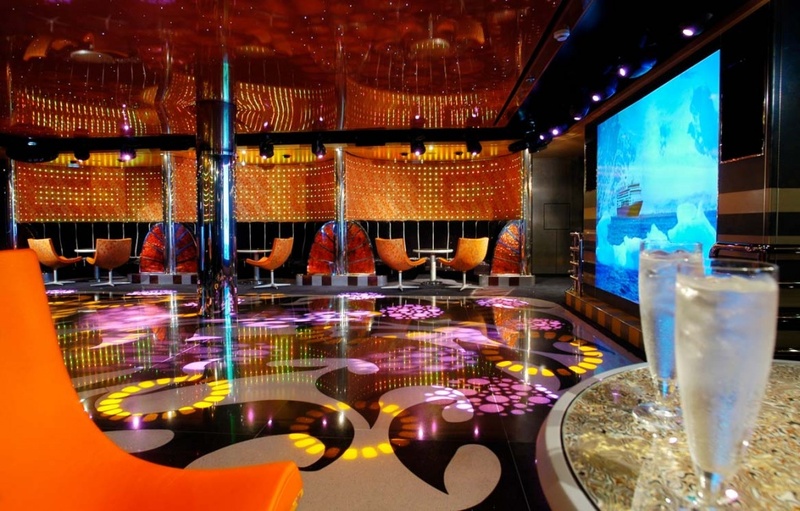 Newcomers to Holland America cruising will soon understand the class of this cruise line. One of the first sights to catch everyone’s attention is the spectacular Waterford crystal globe adorning the three-story atrium. 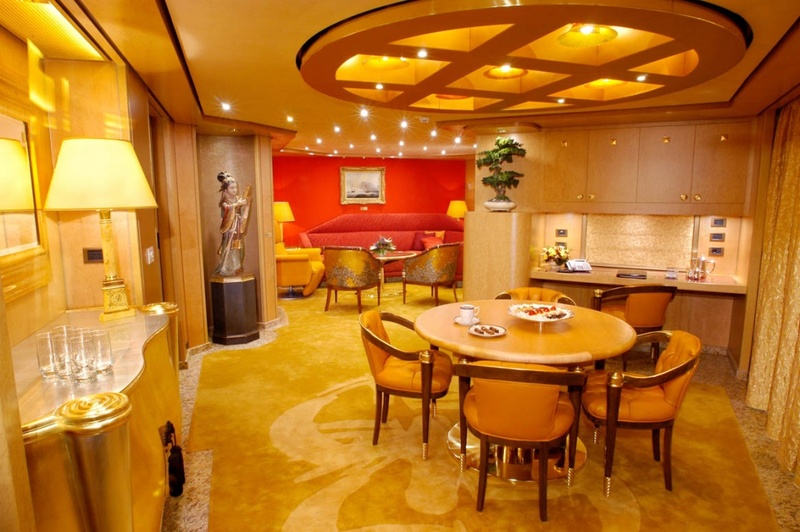 Upon further investigation around the ship you will discover beautiful artworks, antiques and flower arrangements. Oosterdam isn’t only defined by old-world character. 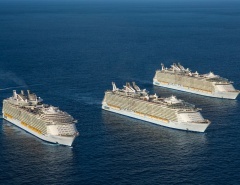 The cruising trend toward holidays by younger couples and families has resulted in a shake-up of the cruise industry, with most lines adapting their vessels for this new passenger demographic. A noticeable change has taken place in colour schemes that suit the younger crowd, creating a mood of vibrancy and fun alongside the luxurious counterpoints. Four external glass elevators add to the modern feel and provide passengers with a dramatic outlook while moving around the ship. The elegant styling of Oosterdam is still evident at every turn, but Holland America is obviously moving with the times. The 2009 upgrades include the latest Pinnacle Bar alternative dining venue and watering hole. 34 new staterooms have been added, and internet services have been upgraded in keeping with improved onboard broadband speeds. A new Italian eatery and enrichment facilities were also included in the renovations. 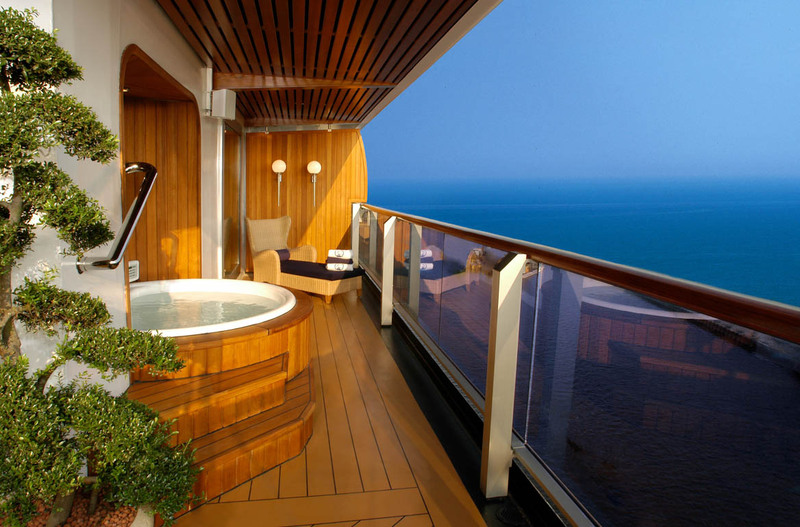 Cabin balconies are a feature of Oosterdam in keeping with modern cruise ship design. In all, around 67% of cabins have a balcony for enjoying scenic vistas and private times. The Deluxe Verandah Outside cabins are the least expensive of those with a balcony, yet are extremely spacious in comparison to similar cabins on other cruise ships. Then again, for the ultimate in luxury, the two Penthouse Verandah Suites are four times as big, with balconies that are six times larger – big enough for hosting private parties. 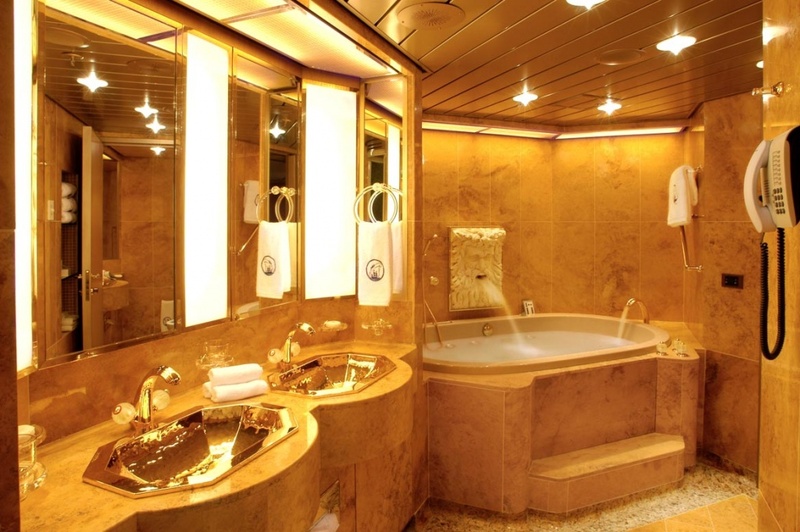 There are a total of 30 cabin categories on ms Oosterdam. 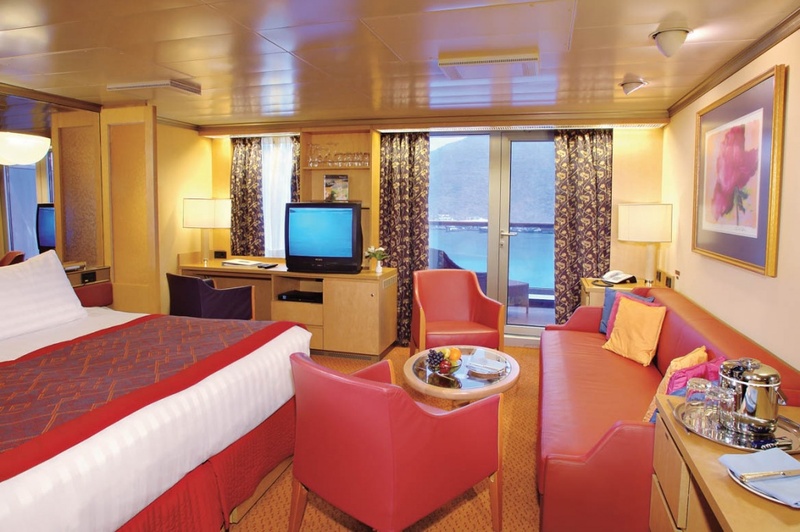 All Oosterdam cabins come with a queen bed that converts into two single beds, an en-suite bathroom including a bathtub, massage shower-heads, lounge/sitting area that converts into a sofa bed, flat-screen TV, DVD player, safe, phone and air-conditioning. 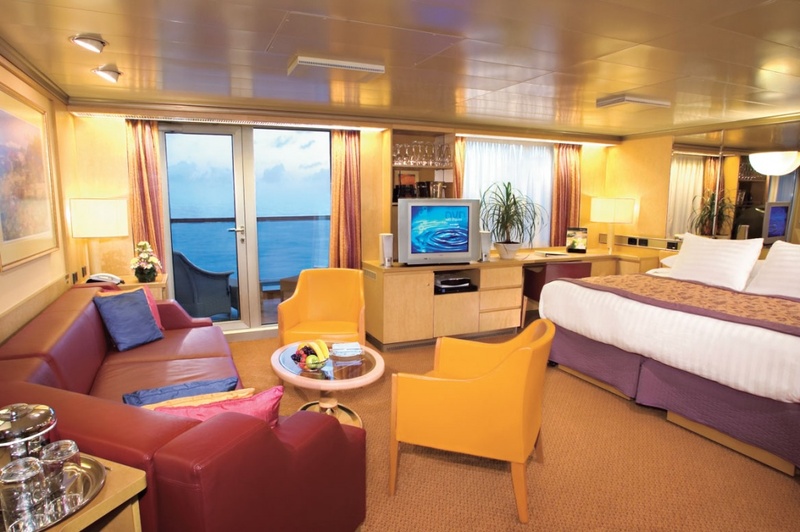 All Suites and Balcony Cabins have floor to ceiling glass sliding doors for easy access to a private balcony. Penthouse Suites have additional sunloungers and tables. Pinnacle and Signature Suites have a king size bed that converts into single beds, a whirlpool bathtub and dressing room. You will also be offered priority services for check-in, debarkation and dining reservations, along with in-room afternoon tea and a range of welcome gifts including champagne and flowers. Penthouse Suites have larger whirlpool bathtubs, a guest bathroom, separate living room with sofa bed and a dining room with appliances that include refrigerator, microwave, mini-bar, plus a pantry. Another feature of the cruise experience that has improved out-of-sight is the dining experience, and Holland America are doing all they can to satisfy passenger expectations. Oosterdam culinary choices now include an array of tasty appetisers, a fusion cuisine overseen by master chef Rudi Sodamin, and mouth-watering main courses and desserts that will satisfy the most discerning tastes – and they are just the free options. 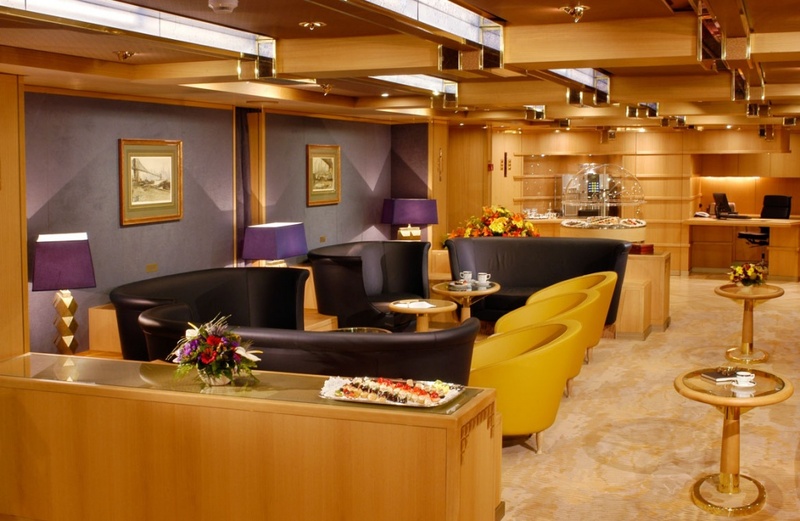 Vista dining room: The main shipboard restaurant, Vista spans two levels toward the rear of the ship, with one level for conventional seating and the other for open seating. Reservations are available to ensure your dinner group is happily accommodated. 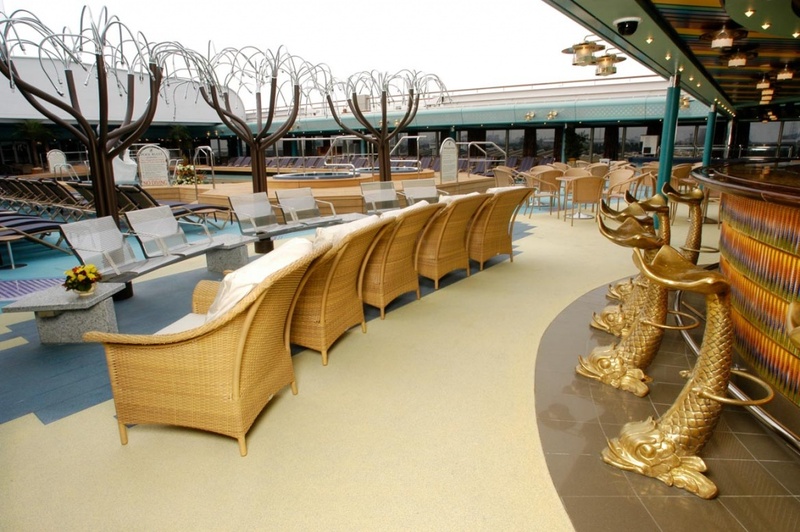 The Vista is a lavish and inviting place offering the best of cruise ship dining. Pinnacle Grill: The major alternative dining establishment which also hosts formal dining evenings. The Pinnacle specialises in Pacific Northwest cuisine popular with American passengers. Lido Restaurant: A buffet style eatery with a wide range of choices for breakfast, lunch and dinner. Canaletto Italian eatery: Reservations are required for this small 54 seat Italian diner where you will enjoy the best of pasta and Mediterranean style food. Passengers also appreciate the outdoor grill near the Lido Restaurant. Here you can procure fast foods such as burgers and fries, or make your own meal at the do-it-yourself taco bar. The option to stay in and enjoy 24-hour room service is a feature on Holland America vessels, with a good range of snacks and meals – all for free. Holland America ships have traditionally catered to the mature age cruise market, and you won’t find the theme park type thrills here. Younger travellers are catered to with a range of activities and enrichment programs, and there are kids clubs that provide fun times while allowing parents and guardians a little private time. The Queen’s Lounge: This multi-purpose venue is a Culinary Arts Centre during the day that morphs into a theatre at night. Some excellent musical performances are staged at The Queens Lounge. Digital Workshop: This computer education facility is popular, and your friends back home will be impressed with your new-found skills. Instructors utilise monitors to help students step-by-step as they learn at their own pace on dedicated computers. Classes in photo editing, video making, and even self-publishing are popular. The Culinary Arts Centre: In partnership with Food & Wine magazine, the Centre provides mixology classes, cooking demonstrations including cake decorating, plus wine tastings. Here you can even learn flower arranging. 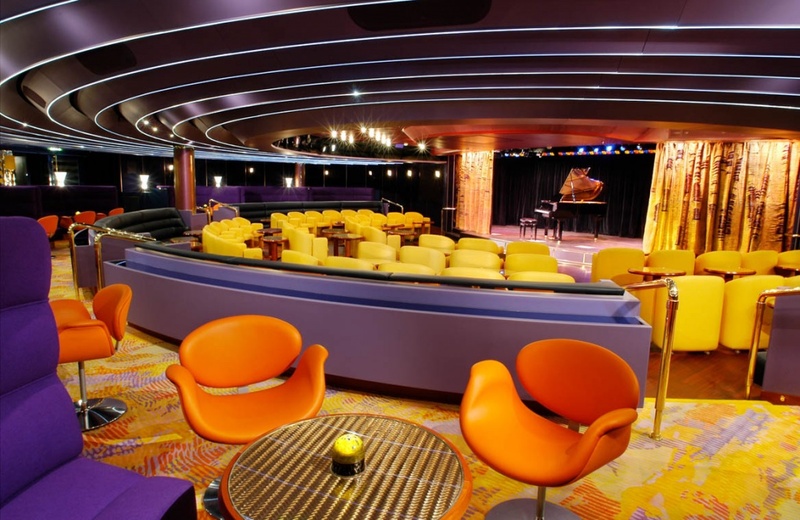 The Vista Showroom: This is the major showroom on Oosterdam, with plush seating on two levels for enjoying night-time spectaculars. 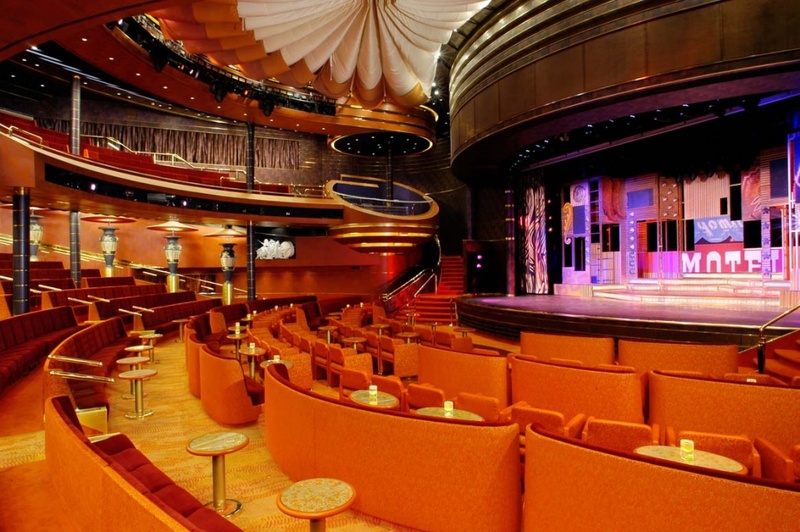 Production shows by Holland America’s Stiletto Entertainment are first-class, and you will also appreciate the onboard comedians and magicians. Music is a big part of the Oosterdam experience, with listening experiences that range from jazz, dance bands, soloists and string quartets. The Northern Lights Disco is a popular late night venue for kicking up your heels. The Piano Bar is worth a visit for the quality musicianship alone. The Ocean Bar and Explorers Lounge will be familiar to Holland America regulars, but shoppers will be in for a surprise at the newly renovated mall area that is now far more open and inviting. The casino, although not huge by cruise ship standards, hosts 11 gaming tables and 130 slot machines. The adjacent sports bar is the place to kick back and catch up on the latest in sports from around the world. Explorations Cafe is a newer public space designed to keep pace with improved onboard internet connections. It’s a combination of cafe, library and internet cafe with plenty of windows allowing natural light inside. 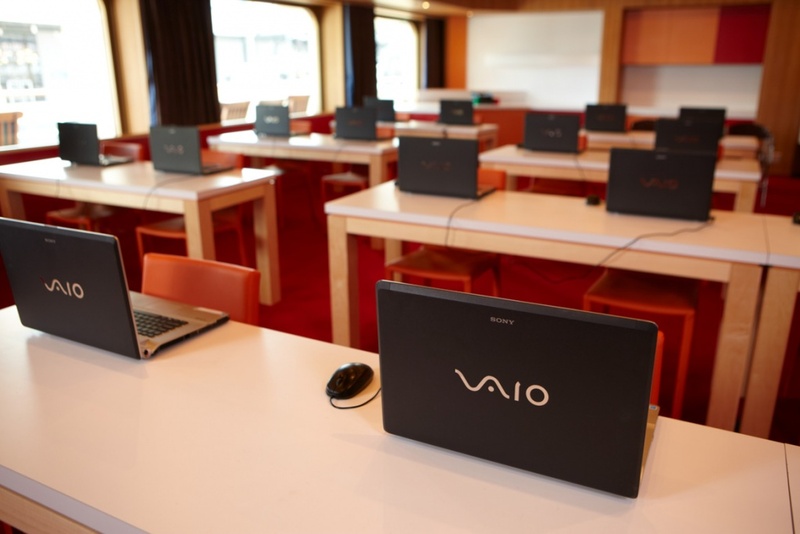 The facility has 18 computers, and Wi-Fi access is available throughout the Oosterdam. Managed by Steiner’s Elemis brand, the Greenhouse Spa Retreat includes a thermal suite for experiencing steam rooms, saunas and a hydrotherapy pool. 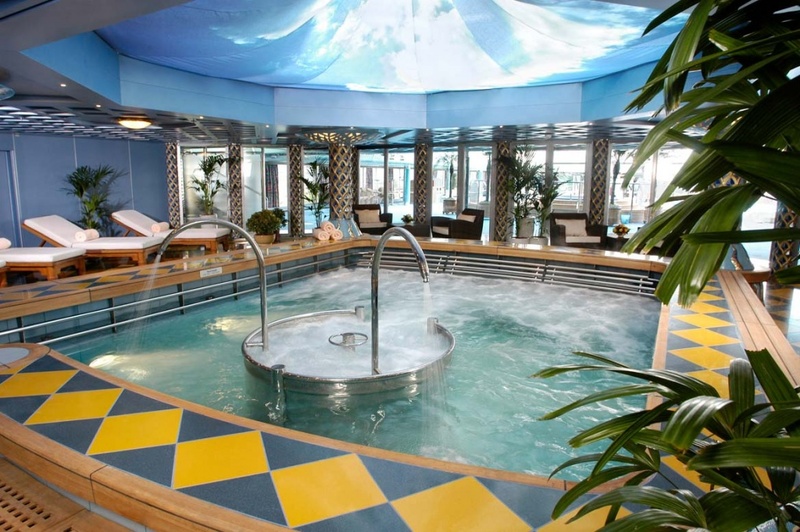 Services in the main spa include massage, facials, acupuncture, hair and nail services, and even teeth whitening. Toning up is easy on one of the fitness machines, or by joining an aerobics, pilates, yoga or spinning class. Sporty types can head for the volleyball court or play half-court basketball. 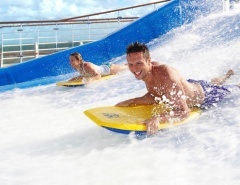 There are two pools on ms Oosterdam: the centrally located main pool on the Lido Deck, ideal for families, and the smaller adults-only pool located toward the rear of the ship. 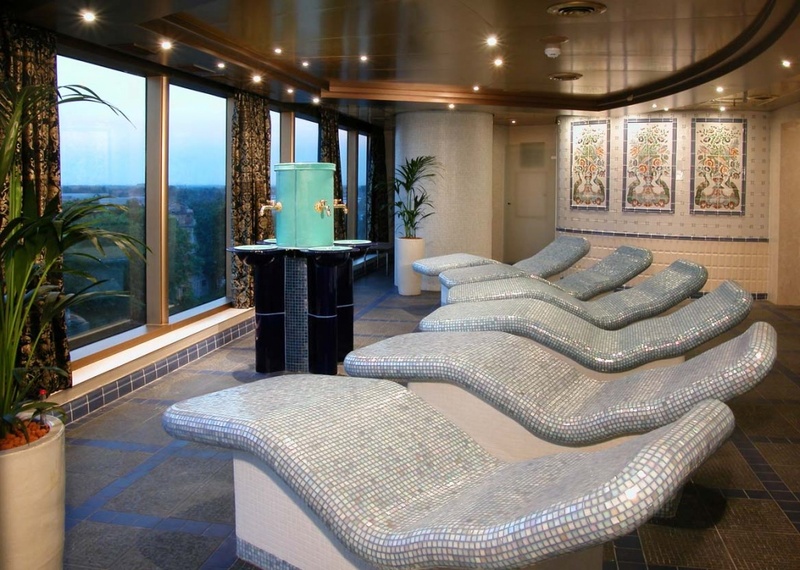 Enjoy a dip or relax on comfortable lounges as you watch the world go by. The ms Oosterdam traverses the world, taking passengers to some of our most beautiful destinations. 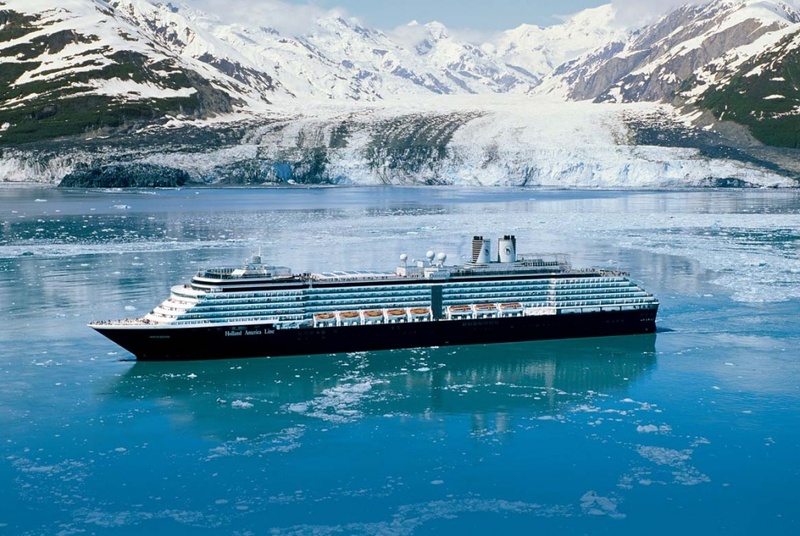 Depending on the sailing season, Oosterdam visits Alaska, the Pacific Northwest, the Caribbean, Hawaii, Europe and the Panama Canal. 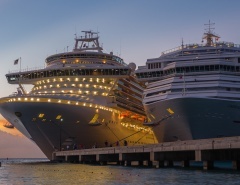 Holland America, one of the worlds premier cruise lines, aims to provide the best in cruising pleasure, and ms Oosterdam admirably represents the best features of the Vista class vessels. 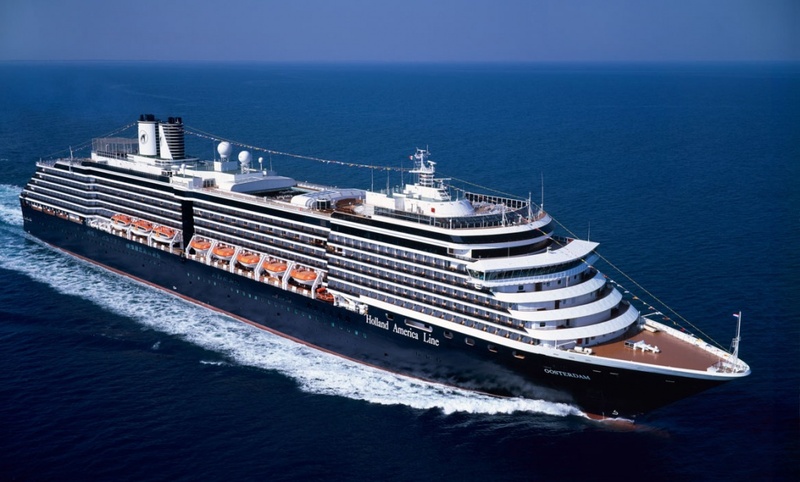 What’s your experience with Holland America’s ms Oosterdam? Let me know in the comments!